A new smartphone app has gone live in Leamington to encourage the town to support local retailers over Christmas with the chance to be rewarded with a bumper shopping spree. The Leam Spa*kle app has been launched by BID Leamington with the support of local businesses to boost local customer loyalty, and attract more visitors to the town centre for their Christmas shopping. The free-to-download app features a map with stars marking the locations of around 80 town centre outlets taking part in the festive giveaway which runs until Thursday, December 20. 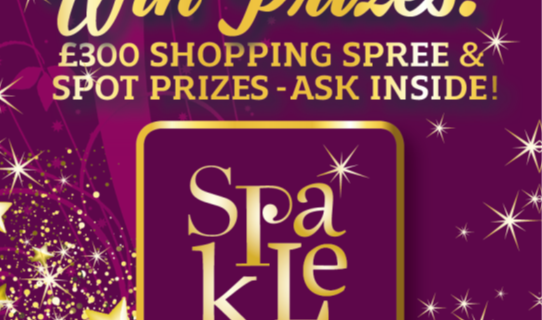 Shoppers making a purchase in participating outlets will have a QR code scanned and receive a star to be automatically entered into a prize draw with the top prize being a £300 shopping spree in the town. A host of spot prizes, ranging in value from £10 to £100, donated by local businesses will also be up for grabs. Alison Shaw, project manager at BID Leamington, said: “The app is a new twist on our Golden Ticket competition which we have run for the past seven years and has been a great success with tens of thousands of pounds worth of prizes given away. “Rather than customers being given a golden ticket to enter a prize draw, they will receive a star via the app when they make a purchase in a participating outlet. The more purchases they make, the more stars they will receive and the more times they will be entered! “We have spent several months developing the app and are delighted with the support we have had from businesses in the town centre, particularly in donating some fantastic prizes, and we’re hoping it will be a big hit with shoppers. BID Leamington has also launched its first ‘living’ advent calendar on the Royal Leamington Spa website, with visitors able to access details on a different live performance or activity taking place in the town centre every day up to December 24. The advent calendar can be viewed at www.royal-leamington-spa.co.uk where further information is also available on the Leam Spa*kle app which can be downloaded on the App Store or via the Play Store.